If your child faces a dental emergency, give us a call immediately. If you need urgent treatment after hours you can contact an on-all staff member by listening to our phone message and following the prompts. After hours emergencies are for established patients only. 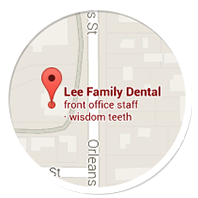 We are always here to assist when your child's dental health is at risk. Below are tips on dealing with urgent dental situations. You may want to display this list on your refrigerator or store it near your emergency phone numbers for easy reference.